Kovi’s animal/skin patterns can add a sassy flair to any home décor style. But without taking into account the flow of the room, your animal print could look random and misplaced. Rather than just throwing down the animal skins and calling it good, there are several ways to make sure this distinctive style can work in your home. Combine the animal print with other animal décor: Rather than randomly having zebra print furniture, add some other elements of wildlife to the space, like some animal statues or some animal paintings. Those will add balance to the room and tie your furniture into a larger theme. The picture above shows how well an animal-themed throw goes with animal paintings. Go for the eclectic look: Another option is to fill the room with high doses of contrast to give the room an artsy, eclectic look. 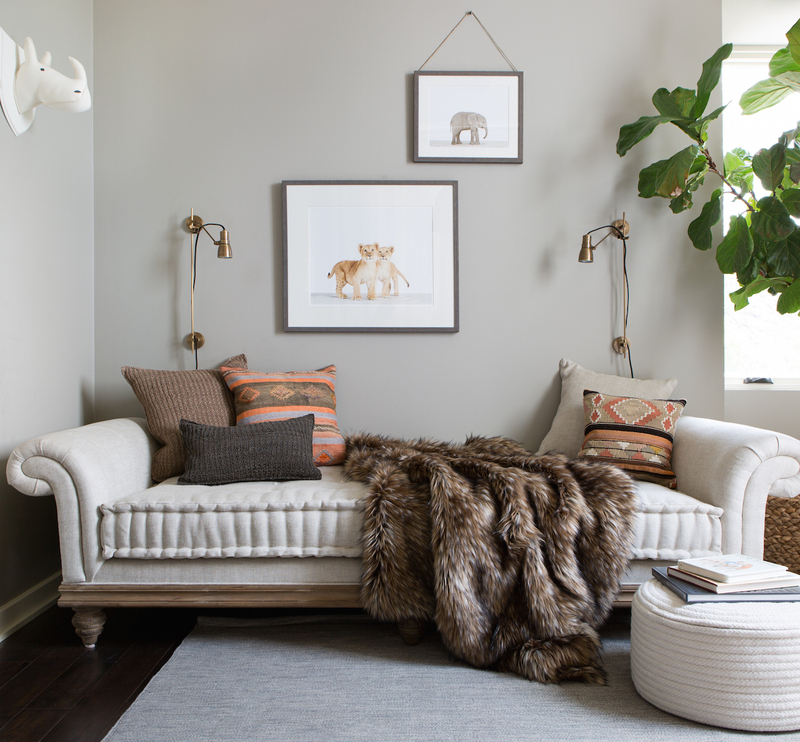 Pair the animal fabric with abstract art or contrasting rugs, for example. Have pops of the same print: Another option is to incorporate the same pattern throughout the room to add balance and create a theme. Say you get a leopard pattern chair. You could also have pillows on the sofa with the same or similar pattern or a similar throw on another chair across the room.